February in Bangladesh – the month that resonates with the blood-tinged crusade for the recognition of Bengali as a state language; the month that dedicates itself to the celebration of Bengali language and literature. With the Ekushey Boi Mela (book fair) in full swing to commemorate the language movement of 1952, it is a time to reflect on the literati whose poems and prose have opened a world of wonder to generations of Bengalis, rendering many of us lifelong fans, seeking out every opportunity to learn more about the literary greats. In reading my favourite Bengali writers, I’ve come across several destinations patronised by them. Some of them may be in rather unlikely places, but they are definitely worth visiting. Possibly the most celebrated Bengali writer of all time, Rabindranath Tagore has travelled extensively and the place that is most associated with the Nobel Laureate is Shantiniketan in West Bengal, India. 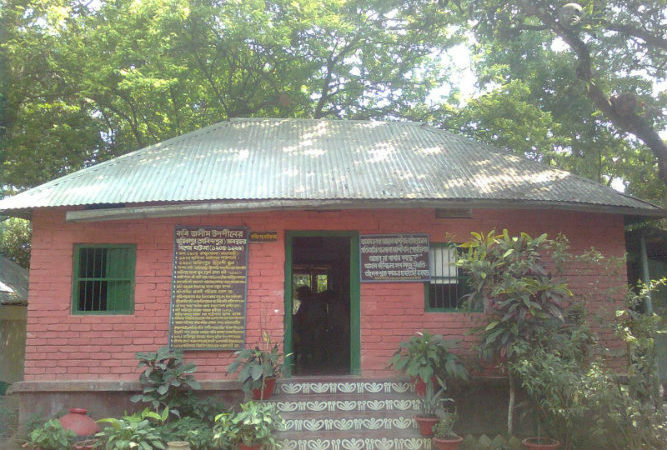 Tagore’s open-air school, Patha Bhavan, boasting concrete benches and blackboards spread out under the shade of large banyan trees, is refreshing to behold, while the Visva-Bharati University produced other Bengali greats such as Satyajit Ray and Amartya Sen.
Less well-known, however, is Shilaidaha Kuthi Bari, his stately home in Kushtia, Bangladesh. It is here that Tagore began translating Geetanjali into English, which went onto win him the Nobel Prize. Today the mansion serves as a small museum, housing a number of Tagore’s personal effects including several scribbled notes in the writer’s own hand. Every May, to commemorate Tagore’s birthday, Kuthi Bari hosts a five-day long festival showcasing his plays and music. The national poet of Bangladesh, Kazi Nazrul Islam, revolutionised the world of Bengali music and poetry with his politically charged lyrics that earned him the title of Bidrohi Kobi, or rebel poet. 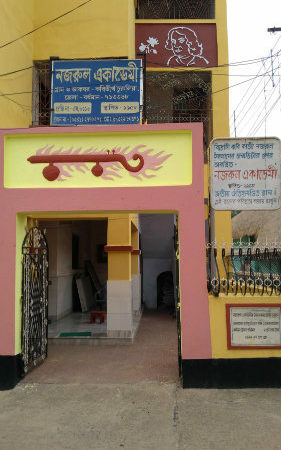 Nazrul’s final resting place, on the grounds of the Dhaka University Central mosque, draws tourists and devotees alike, as does the Nazrul Academy in Churulia, West Bengal, India, where many of his manuscripts and awards are on display. However, it is perhaps, lesser known that Nazrul resided at 32 College Street in Kolkata’s labyrinthine neighbourhood renowned for housing innumerable vintage book stalls, and playground for local litterateurs. Every Bengali child has had a glorious introduction to Satyajit Ray, either through the comedic lens of Goopy Gyne Bagha Byne or through the suspense of the detective stories of Feluda. 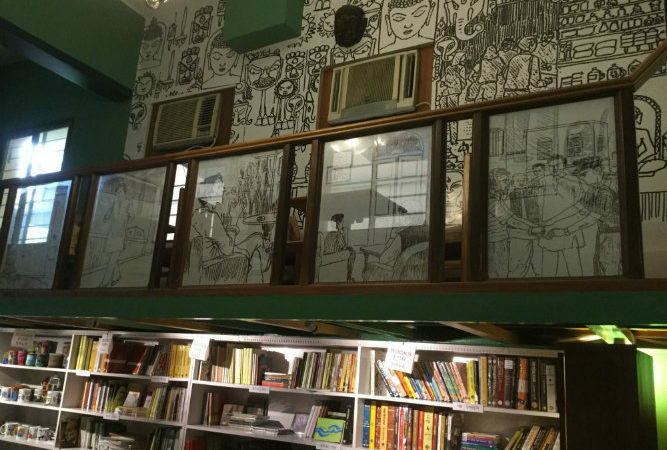 Feluda fans would be well rewarded with a trek to Abar Baithak, a Feluda themed café in Jodhpur Park, Kolkata, where customers sip their coffee amidst shelves teeming with books. Oscar winner Satyajit Ray lived in quite a few addresses across Kolkata, however, it is perhaps his last home at 1/1 Bishop Lefroy Road that is most famous. The sprawling, colonial flat has been extensively photographed, particularly upon his death at this residence. Renowned for popularising literary epics in Bengali, Michael Madhusudan Dutta was born in Sagardari, Jessore in Bangladesh. Like many Bengali literary greats, Dutta spent a significant amount of time in Kolkata. 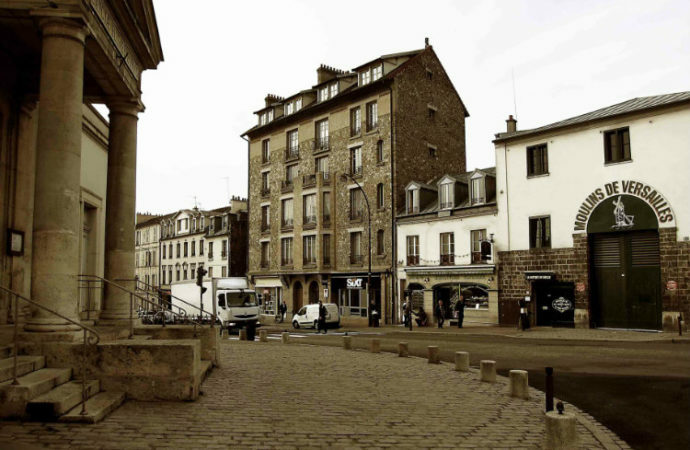 However, he also spent a few years in Versailles, between 1862-1865, in a tiny flat on 12 Rue des Chantiers – a fact memorialised by a tiny plaque partially obscured by decrepit French shutters, the paint peeling from them. Dutta had moved to Versailles with his family to escape financial woes and racial prejudice in England. He had initially moved to England to study law at the Gray’s Inn in London. Jasim Uddin was endearingly bestowed the title of Polli Kobi, or folk poet, because of the vivid imagery his poems painted of rural Bangladesh, its people and its traditions. Polli Kobi Jasim Uddin was born in Tambulkhana in Faridpur, Bangladesh. 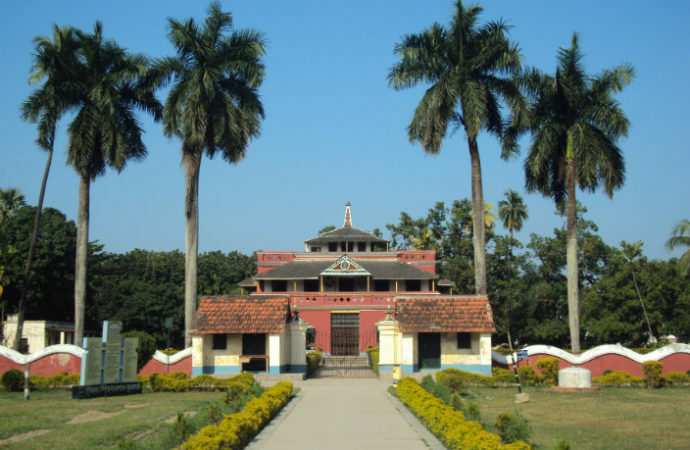 Built by the banks of the Kumar river, his house and surrounding grounds are open to tourists. A collection of the poet’s possessions and photos are up on display inside the house, while the grounds are popular with local picnickers. Visitors can also pay their respects at the poet’s grave inside the family graveyard. A festival, Jasim Mela, takes place on the grounds every year in January to commemorate the life and works of the poet.